Coming from contrasting results in the previous round, Bengaluru FC and DSK Shivajians FC will meet in Round 7 of the Hero I-League to be played tomorrow, February 10, 7.05 pm at the Sree Kanteerava Stadium, Bengaluru. Bengaluru FC suffered a setback when they lost 2-1 to 10-men Sporting Clube de Goa at home last Saturday while new entrant in Hero I-League, DSK Shivajians, struggling in 8th position in a 9-team competition defeated Mumbai FC in the Maharashtra derby at the Balewadi Stadium, Pune on last Sunday. Bengaluru’s midfield looked unstable in the previous round, perhaps to do with the absence of lively Eugenson Lyngdoh, out injured for five weeks owing to a hairline fracture. Also, holding medio Michael Collins, who debuted for the Blues could not make an impression. DSK Manager Derrick Pereira is having fair deal of experience in coaching in Pune with Pune FC till few seasons back is a worried man - mainly because of injury to several key players. 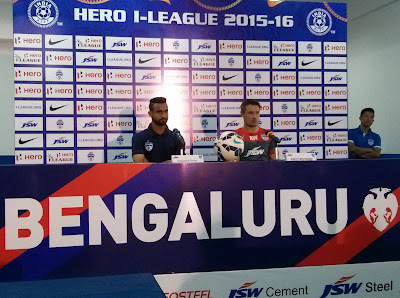 “We are building the team and we’re yet to get the best combination,” points Pereira. The team from Pune have scored only one goal thus far from 5 matches. Forwards’ inability to convert goals is a matter of concern for Derrick. Bengaluru FC Gaffer is not taking his opponents lightly. 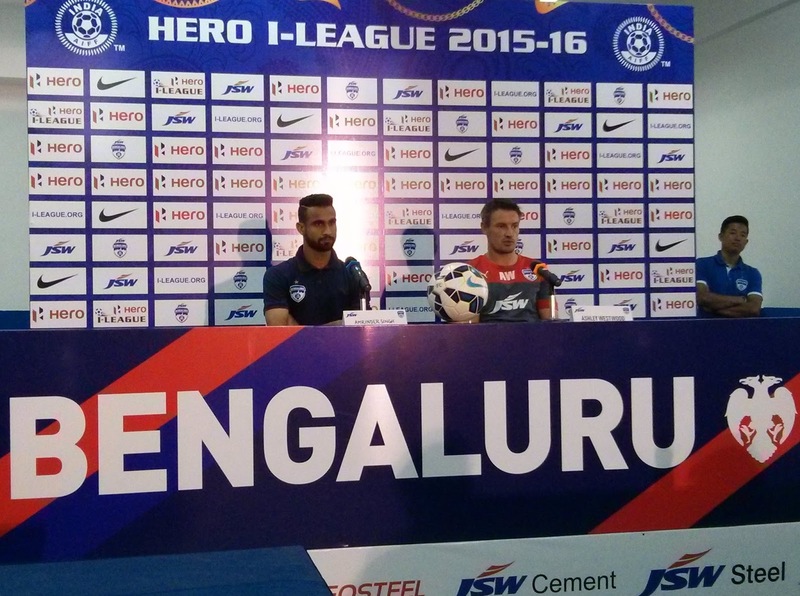 “Derrick Pereira is an experienced coach, tomorrows match will be a tough game for us. They have few good foreigners in Douhou Pierre and Zohib Amiri who got loads of experience playing in India”, adds Ashley in his usual tone. “We have seen their game and done our homework”, assures Ashley. Bengaluru would be looking to make amends before they clash with the previous season’s Hero I-League winner Mohun Bagan on Saturday, February 13.